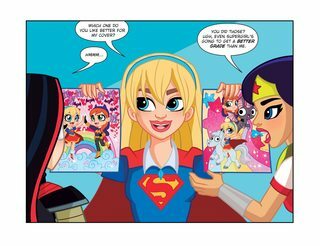 For an assignment in Ms. June Moone’s art class, the girls are working on their very own comic books. 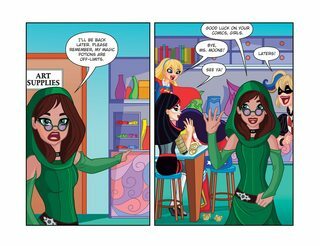 The character-created comic pages give us a glimpse into each girl’s personality. But Harley isn’t satisfied with her comics creation and thinks a little of Ms. Moone’s special paint will really help her drawings come to life! The problem? 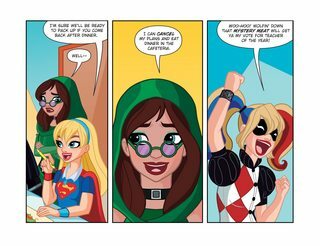 Harley’s drawings literally come to life!